Projects can be created from the Dashboard or the Projects page. 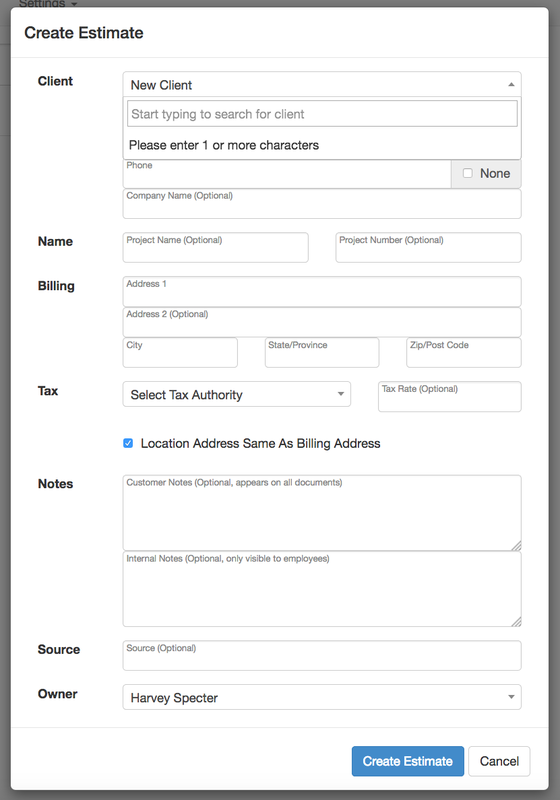 When creating a new project, a client will also be made and their information will be stored in the system. You can view their profile at any time from the Clients page. 1.) 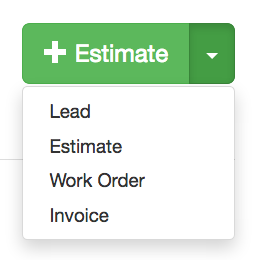 Select the green + Estimate button or select the small down arrow to select another stage to start at. Note: The projects stage can be changed at any time by going to More>Manage Assignment. 2.) Search for an existing client that is already in the system or select New Client to enter information for a new client. 3.) Select Create Estimate when finished.